Most firewall setups will allow dtella connections by default. However, some security clients like McAfee will block the necessary ports, causing connections to fail. This guide explains how to allow these connections. Note that you can enlarge any of the pictures on this page by clicking on the image. 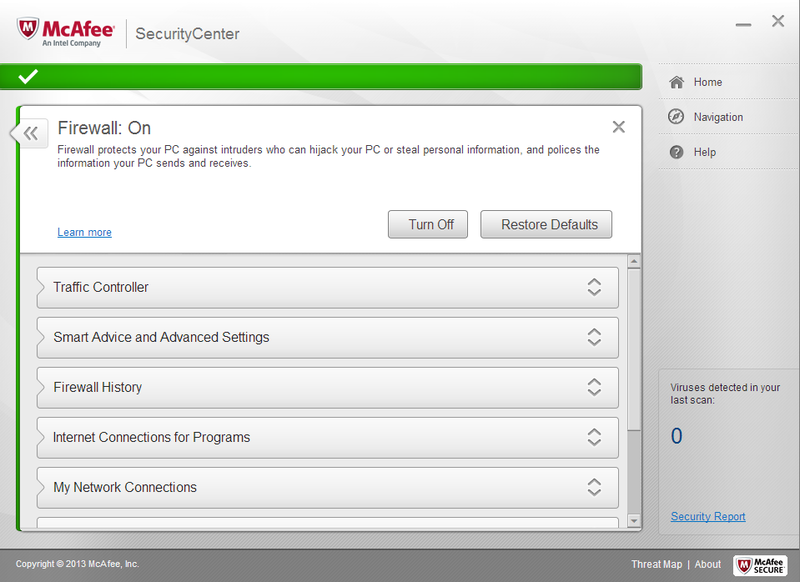 Start by opening your McAfee Security Center (by pressing Start and Typing “McAfee”, or clicking the icon in your toolbar). You should see a screen such as the one below. If you see something too different, you may have opened the wrong tool. 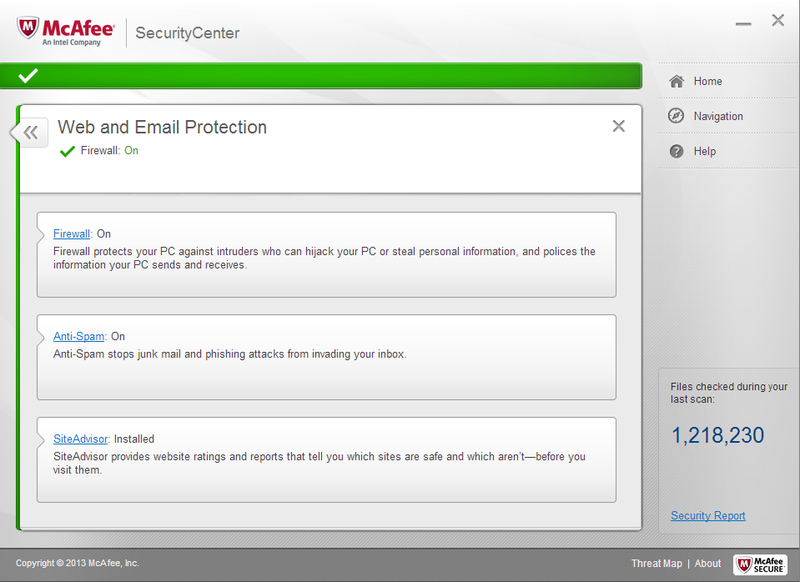 Next, click on the “View firewall and anti-spam settings” link in the top right box. This should lead to a page as seen below. 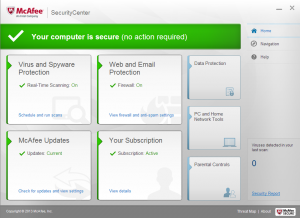 Once on this page, click on the “Firewall” link in the first box. This will again lead to the below screen. 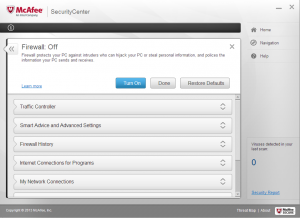 If you try connecting to dtella now and your issue is resolved, the problem lies within your firewall settings. Continue this guide to change the appropriate settings. If your issue is not resolved, you may have a more complex issue. Head over to the Having Problems Page, and let us know what you are seeing, and what you have already tried. 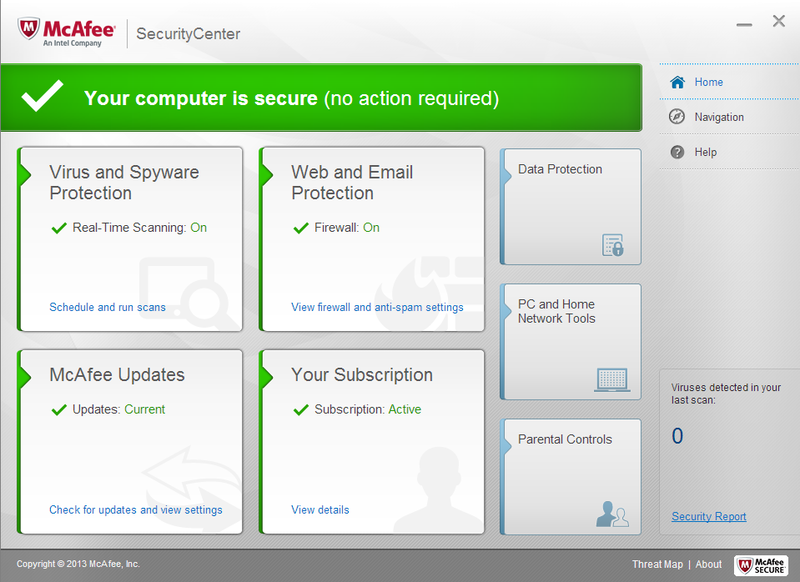 Now that you have diagnosed your issue, turn your firewall back on (by clicking the “Turn On” button, and confirming your choice). Then, click on the “Internet Connections for Programs” Button (the 4th from the top) and scroll down until you find “Dtella Client”. You should see a screen similar to the one below. Highlight the Dtella Client entry by clicking on it, and choose “Edit”. You should see a dialog box pop up with the following options. 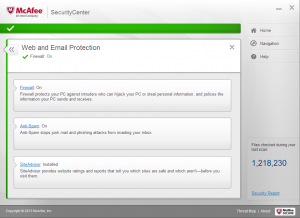 Make sure that the settings match those above (Full Access, and No Net Guard), and Save your changes. Repeat the above step for your chosen DC client (DC++, ApexDC++, Jucy, etc). Make sure that the settings for that client also match those above. 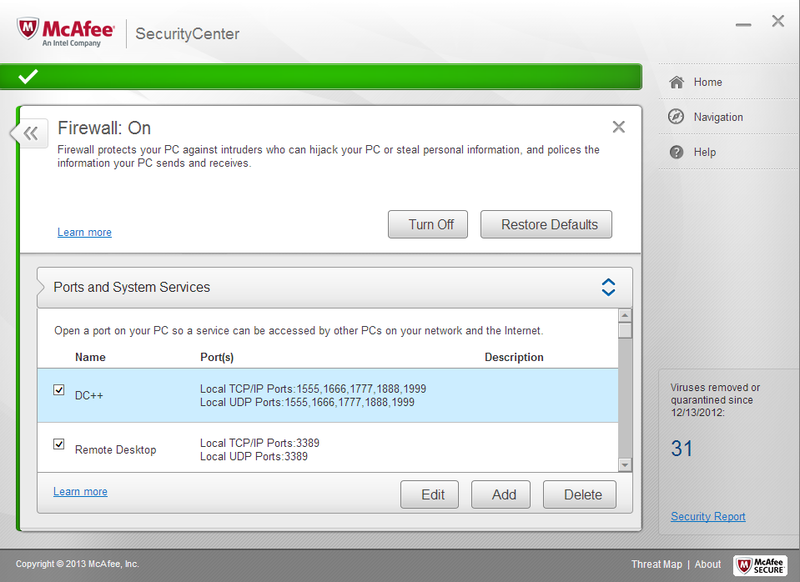 Next, close the “Internet Connections for Programs” submenu by clicking the title, and enter the “Ports and System Services” menu from the same location you originally chose “Internet Connections for Programs”. This may be scrolled below the page. Once you have found the appropriate page, you should see something like the below image. Click the “Add” button to make a new entry, and match the settings to those seen in the next image. Note that your ports need to match those which you chose when setting up your dtella and DC clients. Note that not all of these ports are necessary for all clients. However, they are all displayed here for simplicity. 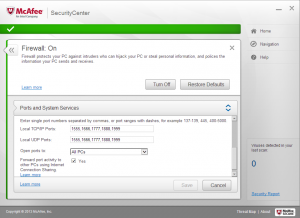 If you are especially security conscious and would like to only open the required ports, come talk to us in chat and we should be able to help you out. Save your changes and retry your connection. At this point, your firewall should no longer be blocking your connections provided that you followed the above steps appropriately and made no mistakes. If you are still having trouble connection, please feel free to ask for help, and let us know what you have already tried as well as what issue you are running in to.